Mumen is a seasoned business development and training expert with over 18 years multinational experience. Mumen currently oversees SAP University Alliances operations across 120+ universities and colleges, impacting over 15,000 students and training 700+ instructors. Prior to SAP, Mumen was a Regional Lead at Cisco Systems, orchestrating Corporate Social Responsibility Programs and running the Cisco Networking Academy for over 55,000 students spread across 340 academies and 10 MENA countries. He has also worked for the American University of Sharjah as a Senior Marketing Executive for 5 years. Mumen holds an MBA in International Business from Preston University, USA. Ibrahim is a Regional Coordinator for Africa Code Week. 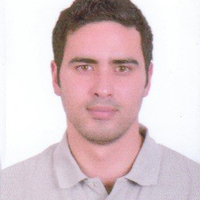 He joined SAP in May 2015 as SAP University Alliances program associate, looking after and developing the SAP global program in Egypt: 6 local key universities, 50 trained professors and 500 Egyptian undergraduates impacted so far. Successful participant of the SAP Young Professional Program in 2014, Ibrahim graduated with 3 well-deserved SAP Certifications in SAP Fincancial Accounting, SAP Business Process Integration and SAP Project Management. Ibrahim also came in as second place in best performance out of the 19 participants and 370 applicants to the program. Prior to working for SAP, Ibrahim worked as a financial analyst for Moore Stephens Egypt Consultancy Agency. Ibrahim also had an illustrious soccer career, where he played for two of the top Egyptian soccer teams Al Ahly Club and Zamalek Club. He has also represented Egypt while playing for the U-17 and U-19 national team. During his time at the University, he was the captain of the American University in Cairo soccer team. Ibrahim holds a Bachelor’s Degree in business administration with specialization in finance from the American University in Cairo, Egypt. With a degree in both Business Administration and IT, Ahmed has spent the past 25 years working in IT, educational software development, distance learning and online education. In 2015, he realized the prime importance of STEM education and Educational Robotics, which led him to launch iSTEM. Ahmed also worked as Managing Editor for ICT Market Magazine and Souk Elasr Magazine. In 2016, iSTEM participated in the World Robot Olympiad, an international robotics competition for students aged 7 to 21: three iSTEM students were shortlisted in the national Egypt team to compete for the international chapter taking place in India. On May 1, 2017, the Matrix International Robotic competition was being held in Romania, where two iSTEM students were awarded with silver and bronze medals (in the Robotics Lego Line Follower & Robotic Lego SUMO categories).